Held in Tokyo since 2002 “Dream Yosakoy” (the organizer’s spelling, not ours - ドッリーム夜さ来い祭り) has been spreading its mass across a number of locations in the Japan capital annually, with some 800,000 spectators gravitating to its spectacle of bold dance, bolder costumes and louder cries of passion. 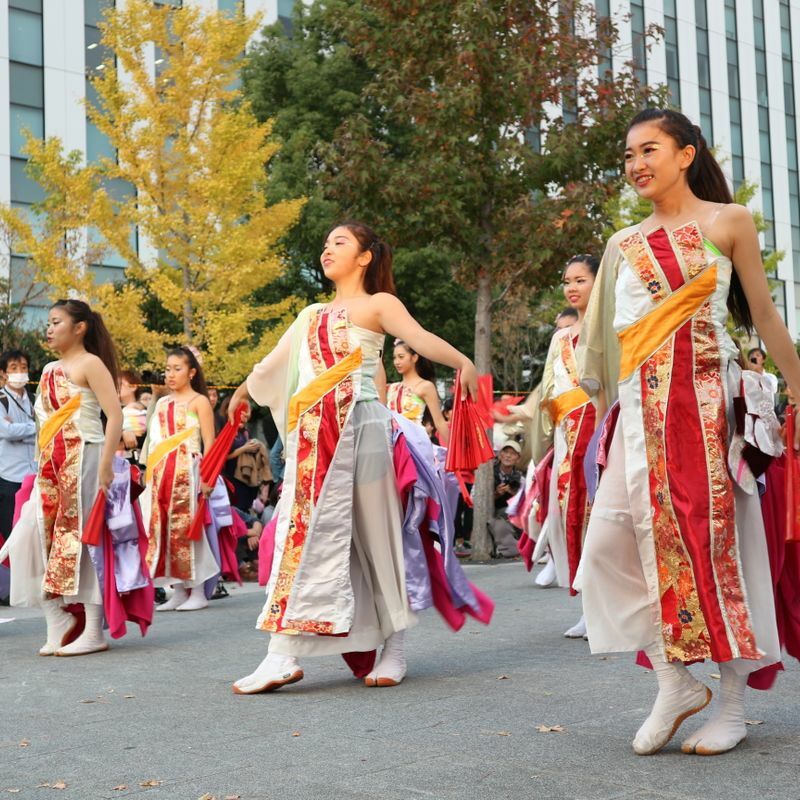 The numbers are not to be taken lightly, “Dream Yosakoy” is one of the largest festivals held in the city, an astonishing feat given the festival’s relative youth and it could well claim to be the best festival Japan has to offer. The organizers are perhaps not instilled with enough bravado to make such claim, but this expat is, at least in so far as they think it really should be included, if not at the top of, any Japan festival itinerary. What follows then is an attempt to present reason behind such a notion. Despite using the term “youth,” “Dream Yosakoy” does go back a little further than 2002, at least in terms of inspiration. 1954 saw the first “yosakoi” bash take place in Kochi, Shikoku as an effort to instill a bit of cheer and spirit during the post-war years. The yosakoi festival in Kochi is still a big deal to this day, and it’s from this that “Dream Yosakoy” in Tokyo draws its inspiration. What happens at "Dream Yosakoi"? 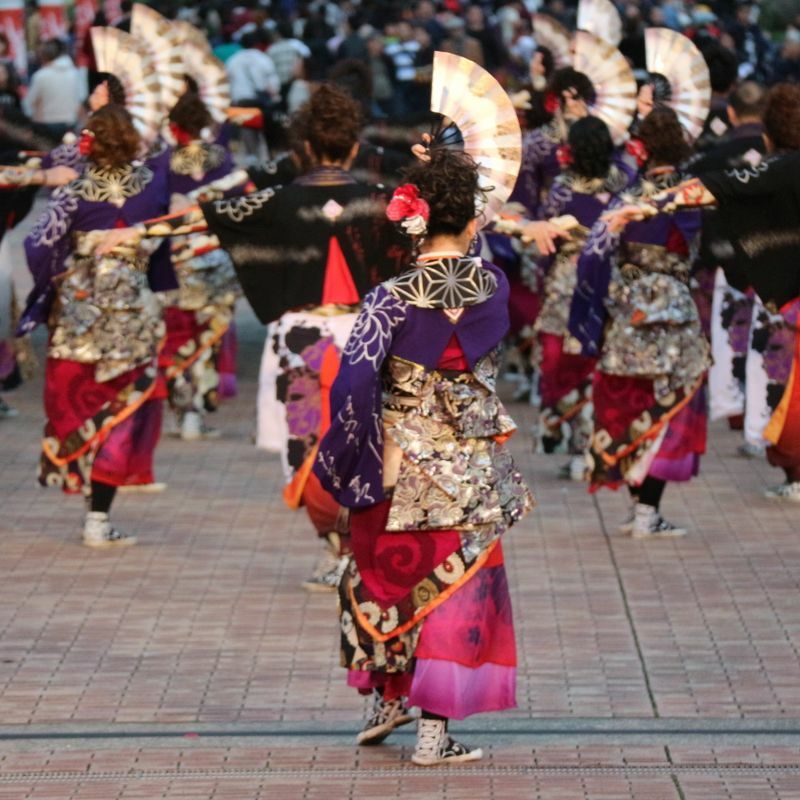 In brief summary; be-costumed teams / troupes / groups of dancers strut their way down a kind of improvised thoroughfare about 100m long to a soundtrack that must reference the original “yosakoi” tune of “Yosakoi Naruko Odori”. At the end, in front of a feverish bank of camera lenses, a final pose is thrown and it’s job done. 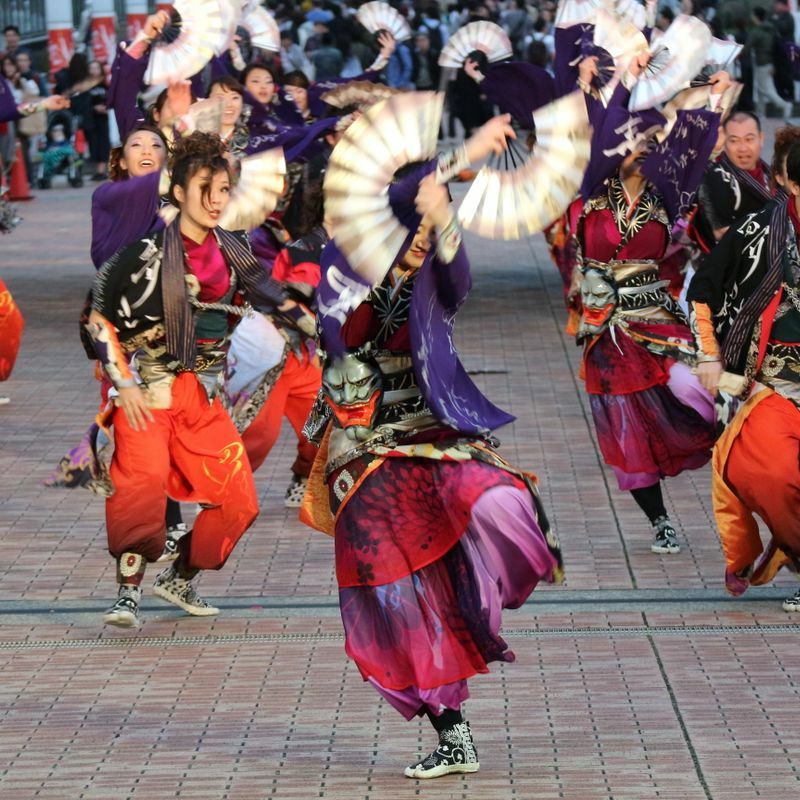 At the “Dream Yosakoy” 2017 some 70 teams performed during the festival with individual dancers numbering in their thousands. Festival organizers find time for interludes and opportunities for spectators to get on the thoroughfare and strut their stuff. The festival’s trump card and something that really infuses almost everything that’s a joy about “Dream Yosakoy”. It comes from tradition but isn’t bound by it. Where many of Japan’s traditional arts and disciplines demand a Sisyphean level of repetition and mastery before allowing a practitioner the opportunity to, wince, improvise and add a bit of their own influence to proceedings, “Dream Yosakoy” casts off the shackles so to speak allowing groups to create their own dance moves, costumes, props and style of music. There is but one nod to tradition, that, as mentioned earlier, the music must be an arrangement of the traditional yosakoi soundtrack song “Yosakoi Naruko Odori”. There appear to be no requirements as to the kind of arrangement. Consequently, for the layman, the original melody can be hard to make out amidst the dance, hip hop, rock, metal, samba, and rave stylings. Listen to the original and you’ll understand that this is a good thing. The festival’s break from tradition is arguably its raison d’etre in so far as it is what allows the festival to grow and is what makes it so engaging. It reflects the “now” but still offers a knowing nod to the past. What’s so engaging about this, at least as far as this spectator is concerned, is that despite the “now” being filled with so much horror and misery what comes through in the performances is an unbridled sense of raw elation. Ultimately, it’s a reassuring testament to the human condition, that given the license of free creativity, what comes through is something so wildly positive and fun. Perhaps in this way, the festival makes another unconscious nod to its roots as a source of post-war cheer. OK, so “Dream Yosakoy” does spread its impressive bulk over two days but each dance lasts only around five minutes, if that, and there’s little mucking about between performances. In fact, you can see the next team lying in wait like well-drilled students during a sports day. You can also see them sprinting off to the next location after they’re done, still gasping for breath. We like this. It means you don’t have to stand around and wait for an age, pretending to have a good time. The brevity is reflected in the dance choreography, too. While there are moments of grace and poise, for the most part it’s a straining charge down the thoroughfare. A 100m sprint as dance. Such brevity and fluency of scheduling, and at fixed locations, means the spectator can know exactly where to turn up, and do so knowing that in the next few minutes they’re going to see something worth seeing. A bit like the city’s trains, except “Dream Yosakoy” is much more visual. Anyone who’s squashed themselves into what little space isn’t available at, say, a Sanja Matsuri will appreciate the viewing ease of “Dream Yosakoy”. 2017’s edition of the festival had three locations in Odaiba, and one each in Marunouchi and Akihabara. The same teams perform across all five. This is how organizers are so well able to accommodate some 800,000 spectators, a number which could otherwise sound like a nightmare for those who don’t fair well in crowds. The result of this spread is that it’s easy to get an eye full of the action. Of course, the accusation could be made that such ease comes at the detriment of atmosphere, and to a certain extent there’s truth here. 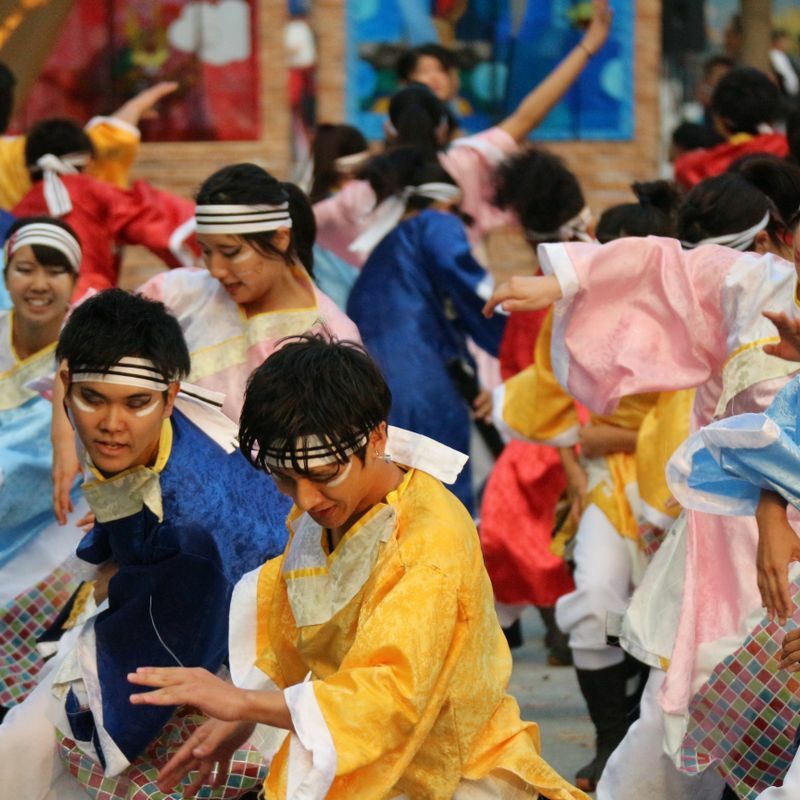 For the spectator, “Dream Yosakoy” does lack the sweaty energy of other festivals. In this sense it’s like standing at the back of a rock concert far from the mosh pit, but still with a great view. Or the all-seater-stadium football experience. Such a circumstance will always have its detractors. Perhaps it’s a reflection of this expat’s age then that I prefer my viewing experience to be more laid back. Besides, the energy provided in the performance is what we’re here for. The flamboyant costumes, expressions of joy, moments of pause, and some iconic settings means there’s plenty for the shutterbug to poke their lenses at at the “Dream Yosakoy”. There’s also plenty of room to get a clear shot, except for the at very end of the thoroughfares where the photographers crowd to get their full frontals. There are also some quirky challenges to be met. Getting a shot of Tokyo Station’s iconic red-brick facade as dancers charge. Capturing a dancer’s expression as they launch into a guttural howl. How about fitting in the Gundam Unicorn statue or the Odaiba Statue of Liberty? Flitting between and around venues looking for the perfect shot is one of the great pleasures afforded the spectator at “Dream Yosakoy”. And you can do your “flitting” with relative ease. This harks back to the point about “Dream Yosakoy” being progressive. 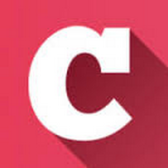 It allows participants to get what they want from it, and you can really see them enjoy it. And it’s infectious. There is no sense of bemusement here, except for maybe in some of the unwitting toddlers who might have been roped into it by mom and dad. This reflects a serious point - it’s often the case with tradition that, particularly for younger generations, there’s a feeling of numb, boring Sunday afternoon duty to fall in line and join in with the elders. Of course, the appreciation of tradition and the motivation to keep it alive are things to be admired, and perhaps it is a small sacrifice that the youth should be making, to every now and then suit up and join the grandparents for a bit of a strut. Here’s to keeping doing likewise. With “Dream Yosakoy” though, there’s emphatically no sense of begrudgement. Everyone wants to be here, participants and spectators. 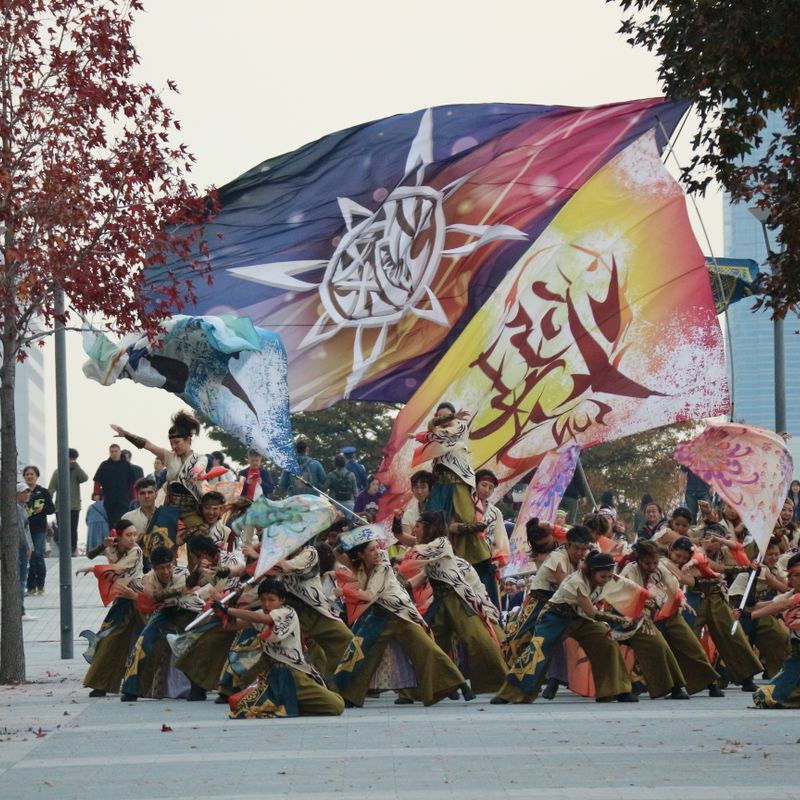 Postulations of “Dream Yosakoy” being the best festival in Japan may well be too bold, but the event would appear to have hit on a winning formula. In previous years organizers threw out spectator numbers of 600,000. In the festival literature for 2017 they are saying 800,000. Maybe one day it will be one million, as more people include it on their Japan festival itinerary. You’ve got to know you’re onto something when even an ocean can’t contain you. 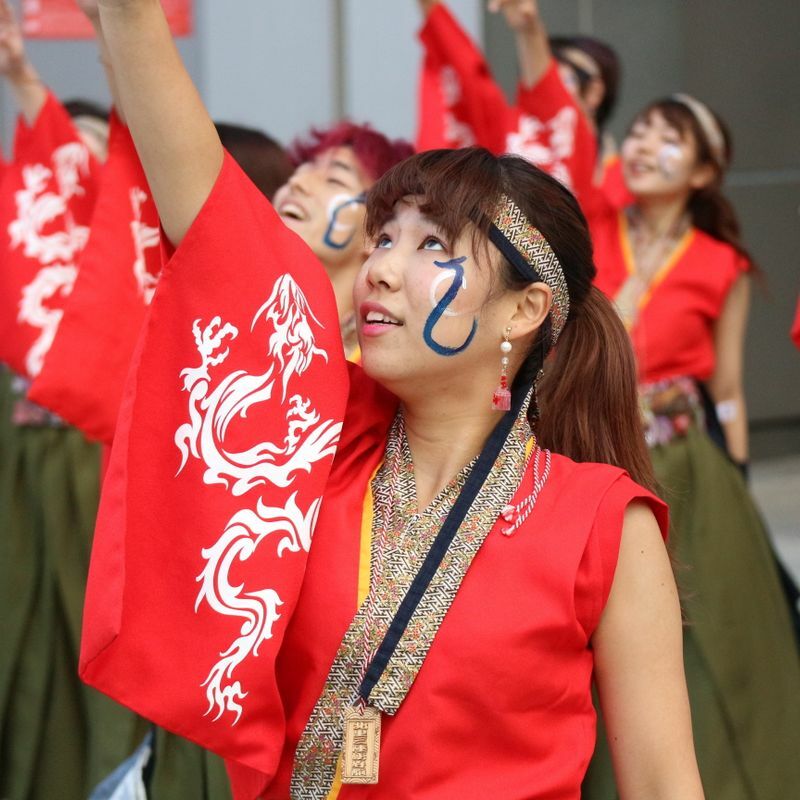 This year the city of New York will host its third “Dream Yosakoy Matsuri in New York”. Now, the sceptic might question just how far removed from a tradition something can be before it becomes an entirely separate entity. A concern, no doubt, but then if the people of New York want to do their own thing with it why should they be stopped? After all, the roots will always be there, somewhere, for people to fact check. But let’s keep it positive just like the “Dream Yosakoy” experience. “If I can make it there, I’ll make it anywhere.”, sang Sinatra. Well, maybe this is a case in point, after New York, what’s next for this most progressive of Japanese festivals? *NB - All the images you see here were taken at the "Dream Yosakoy Festival 2017". 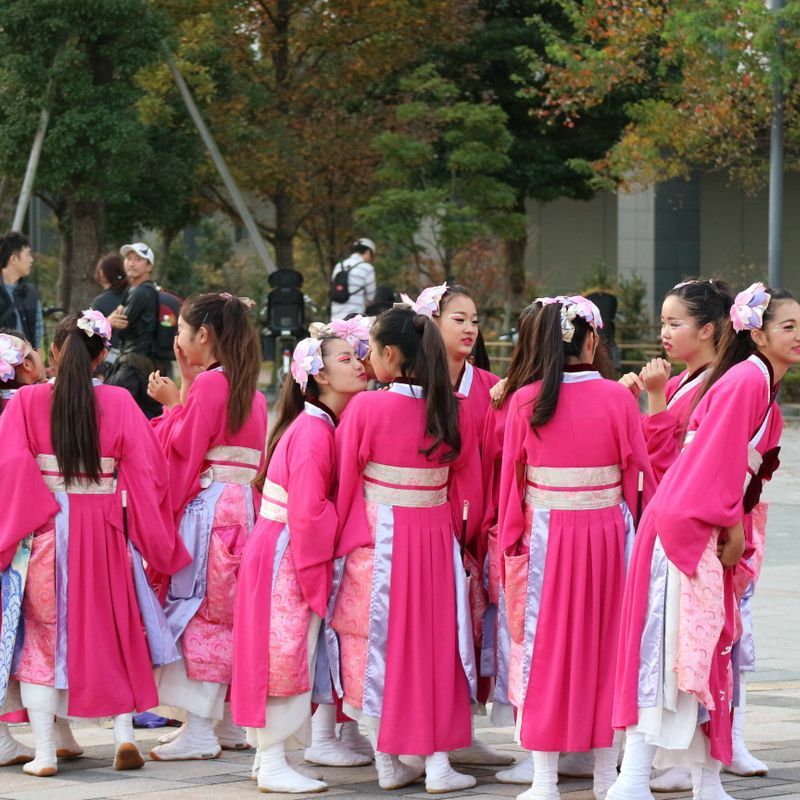 Have you put a yosakoi festival on your Japan itinerary?